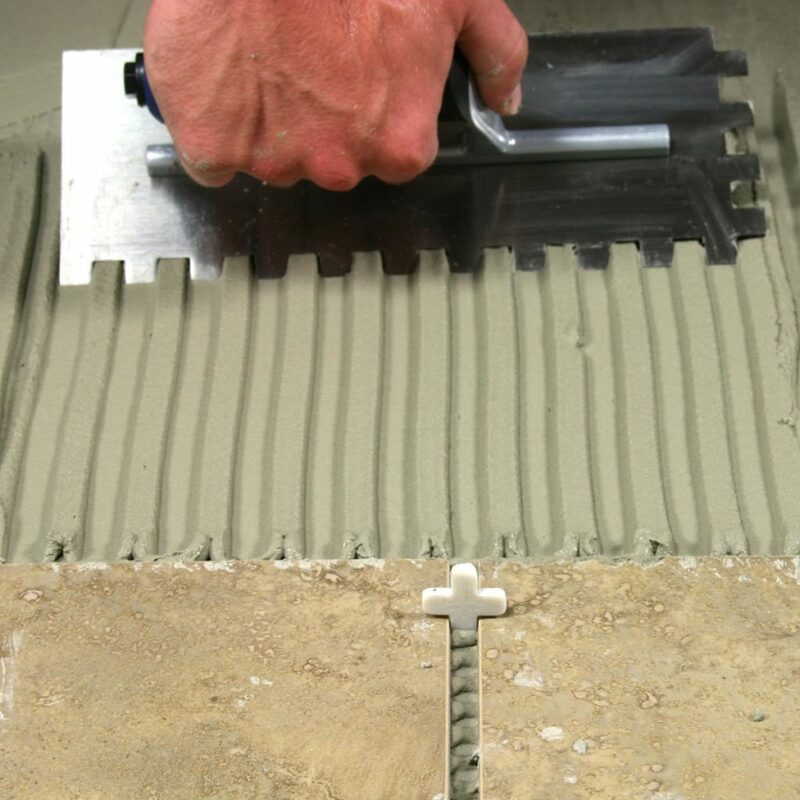 One of the most important applications of polymer-modified cement mortar is the application of thin-layer construction methods to tile. The specific process is as follows: the dry powder adhesive with the package is mixed with water on the spot, the mixed adhesive is applied to the wall and the ground with a scraper with rectangular teeth, and the tile is pasted on the silver before it is dried. The basic requirements for this adhesive are: good workability, long open time, good slip resistance, and sufficient deformation for durability in a variety of possible climatic conditions. In the more severe thermal curing tests, the stress development due to the temperature difference and the difference in thermal expansion coefficients of the tile and the base layer was simulated. This internal stress is compensated for the deformability provided by the rubber powder polymer distributed in the mortar system, thereby avoiding the failure of the adhesive and the damage of the tile fixed to the adhesive. Very porous ceramic tiles can theoretically be boned to voided substrates because cement mortar containing only mineral binders can create mechanical embedding in the interstices between the tiles and the substrate, under an electron microscope to see the obvious different bonding effects. Once a virtually non-porous tile is used, the polymer will play a key role in ensuring a good bond to this near-glass material. Mortars containing only mineral adhesive-cement cannot bond such materials. That is, almost all of the bond is from the polymer. This bonding mechanism is also applicable to other non-porous substrates. From the European test standard EN 12002 for the lateral deformability of tile adhesives, it can be clearly shown that the modification of the mortar by the polymer can not only significantly improve the adhesion, but also impart obvious deformation ability to the mortar, and increase with the increase of the polymer parameters. The modified low polymerization temperature of the VAC/E mortar can provide high deformability even at low temperature.